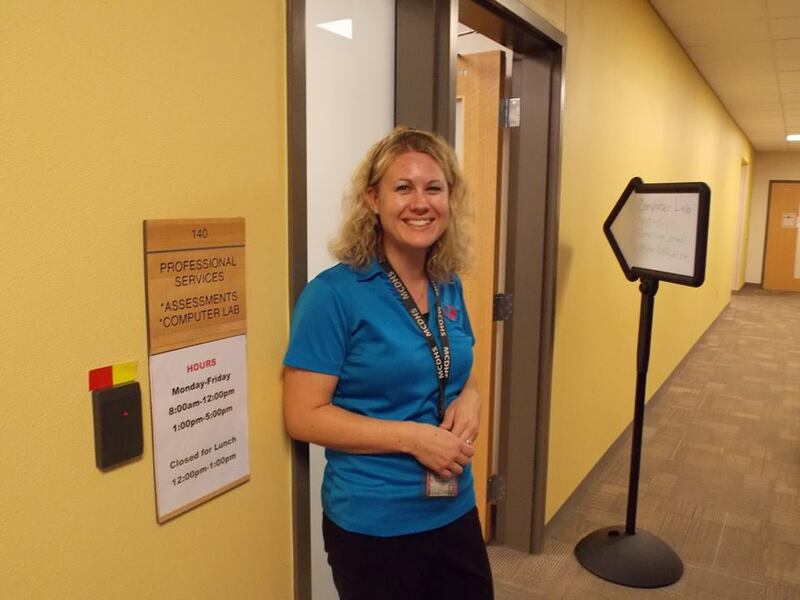 Workforce Center Employment Services Supervisor Celina Kirnberger is all smiles during the job fair at the Workforce Center, 512 29 1/2 Road. The job fair aims to connect multiple employers with numerous career opportunities with job-seekers all under one roof. 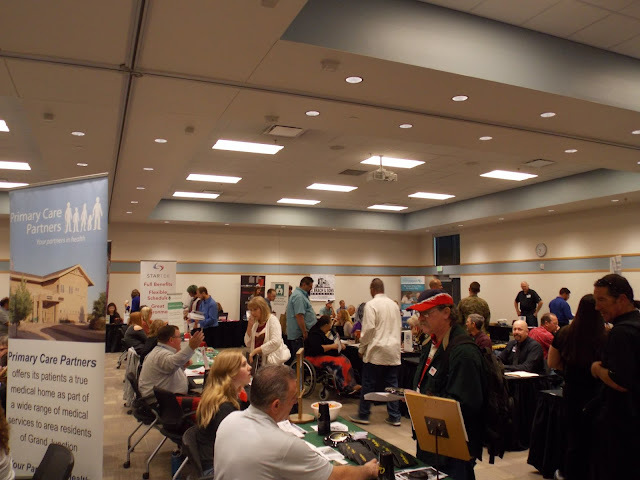 The job fair event gives job-seekers and employers a chance to meet one another, establish professional relationships, and discuss potential career opportunities. 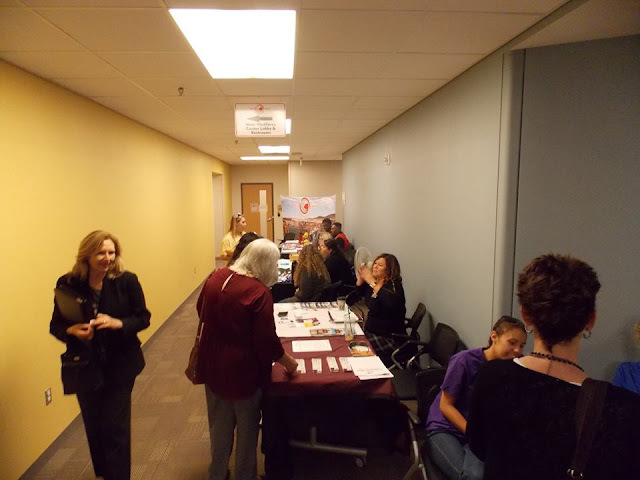 Many employers from a variety of industries attended this year's job fair, which created an overflow where many employers had to set up in the hallway. 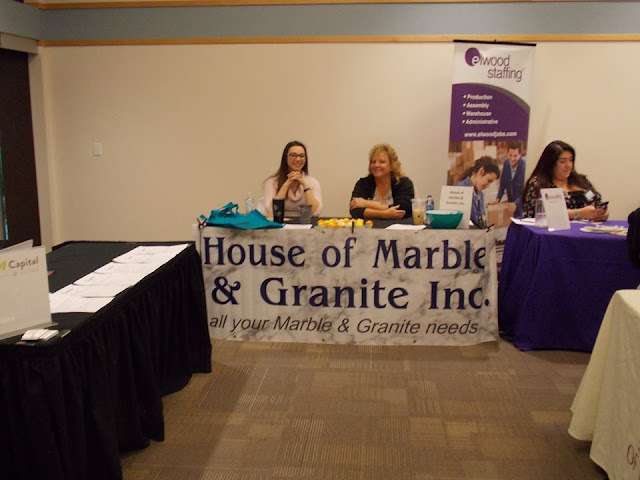 The event gave employers a venue to meet and interview prospective candidates. Over 50 employers spent the day looking for their next best employee. This week, MCSO Investigator Lissah Norcross was honored with the Law Enforcement Officer of the Year award in Colorado Springs by the Rocky Mountain Women in Law Enforcement organization. Congratulations, Lissah! The award is given to a law enforcement officer who has made significant contributions to the profession as well as serves as a role model for other policewomen. The Mesa County Sheriff's Office is showing their support in recognition of Breast Cancer awareness month by placing Cops for a Cure ribbons on their patrol cars. Well, the Broncos lost Monday night, and Sheriff Matt Lewis is a man of his word. A bet is a bet. We are lucky to have such great law enforcement partners in our community. The Board of Mesa County Commissioners proclaimed Oct. 4, 2018, as Wayne Aspinall Federal Building and U.S. Courthouse Day to recognize that over 100 years ago, Mesa County and Grand Junction’s first permanent Federal Building was completed in 1918, providing much needed federal services such as the Post Office and court facilities. Assessor Ken Brownlee presents a map that shows the areas affected by Colorado Proposition 112 in Mesa County during the Commissioner's Administrative Hearing Monday morning. Learn more about statewide ballot questions, here. 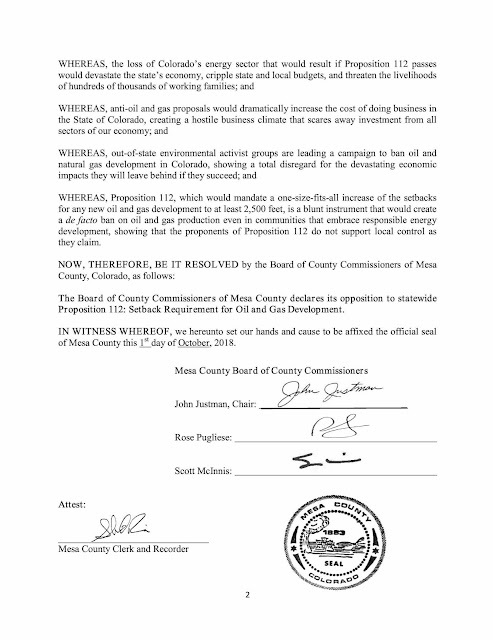 The Board of Mesa County Commissioners unanimously voted to oppose Colorado Proposition 112, Minimum Distance Requirements for New Oil, Gas, and Fracking Projects Initiative, which would change the statewide minimum distance requirement for new oil and gas development be located at least 2,500 feet from any structure intended for occupancy. Read more, here. U.S. Magistrate Judge Gordon Gallagher was the keynote speaker at an event celebrating the 100th-anniversary of The Wayne N. Aspinall Federal Building on Fourth Street and Rood Avenue Thursday afternoon. 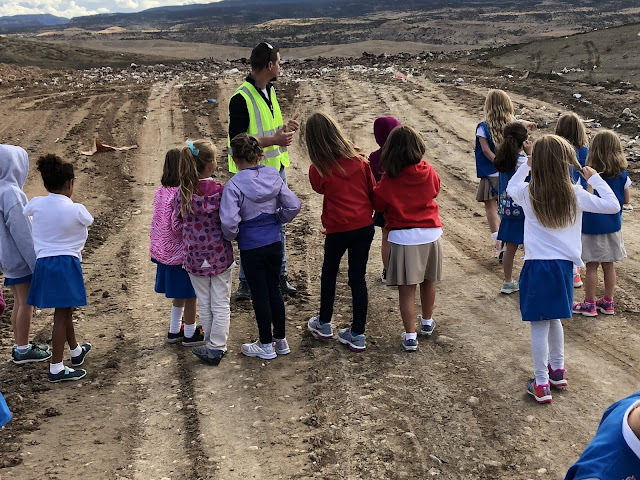 A representative from the Museums of Western Colorado shares and talks about the contents of a time capsule that was placed in the building 100 years ago at the celebration event. Commissioner John Justman read the proclamation the Board of Mesa County Commissioners adopted Monday morning in public hearing declaring Oct. 4, 2018, as Wayne Aspinall Federal Building and U.S. Courthouse Day. Commissioner John Justman looks through the items preserved in a time capsule that was placed in the Wayne Aspinall Federal Building 100 years ago. The 100-year-old items retrieved from the time capsule included newspaper clippings and other well-preserved documents. A local government annual report from Dec. 31, 1915, was included as part of the documents in the time capsule. One of the items in the time capsule is a report from School District No. 1 from 1918. Commissioner John Justman looks over documents at an event celebrating the 100th-anniversary of The Wayne N. Aspinall Federal Building. 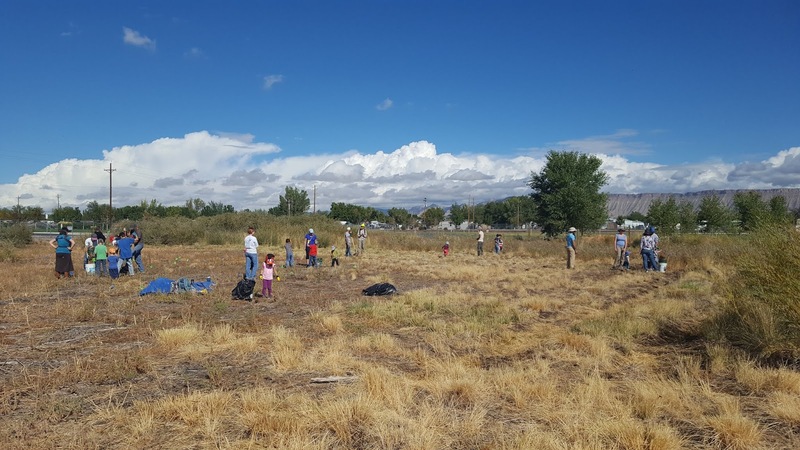 Many Mesa County families volunteered at the Clifton Nature Park cleanup event with Colorado Baby Wednesday morning. 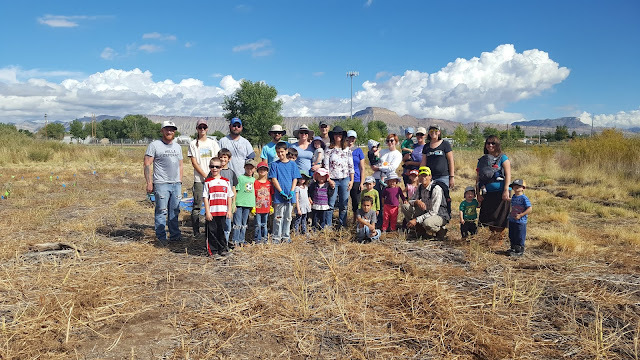 Thank you to Colorado Baby and the many families that participated in joining us in maintaining and creating healthy landscapes. Park stewards had the opportunity to plant native grasses to create better habitat for insects, wildlife and the community. 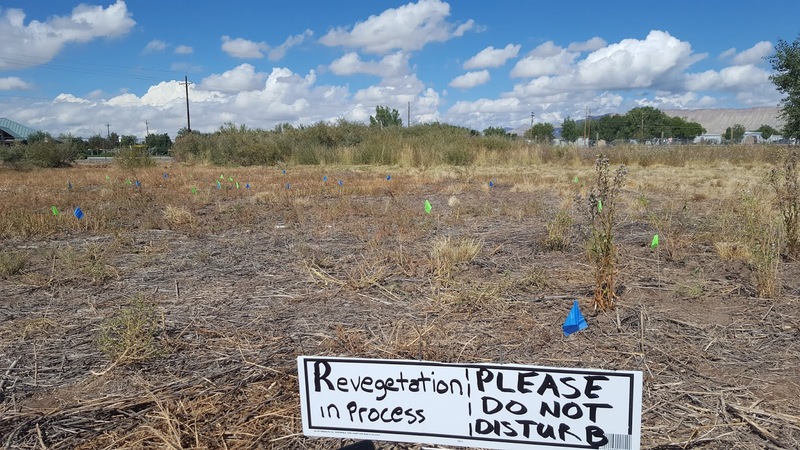 After cleaning up the Clifton Nature Park area and helping plant native grasses, volunteers took a nature walk to enjoy the beautiful views. Solid Waste Director Barrett Jensen gave Girl Scouts a tour of the Mesa County Landfill. 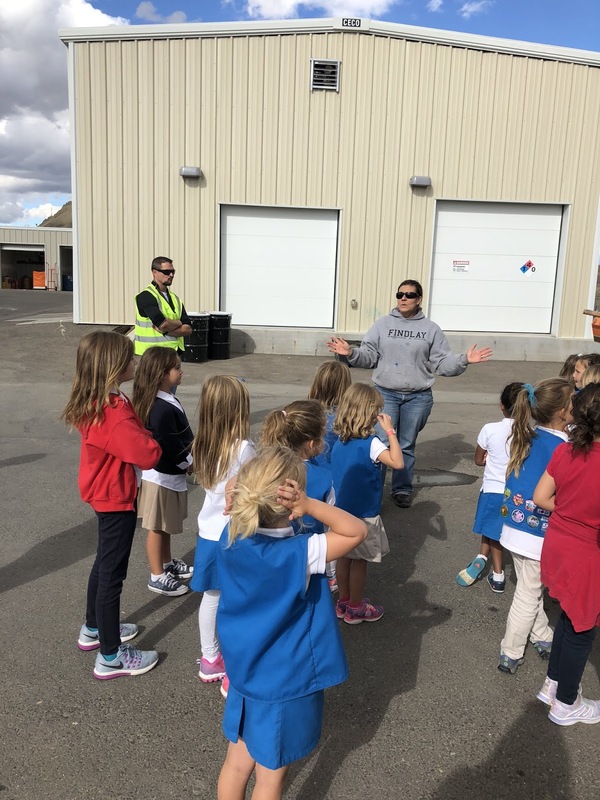 Hazardous Materials Manager Hope Petrie gives a group of Girl Scouts an overview of what hazardous materials are and why they should not be thrown away or placed in the landfill. A rock with a special message was found by the Elections and Recording office entrance Monday morning. 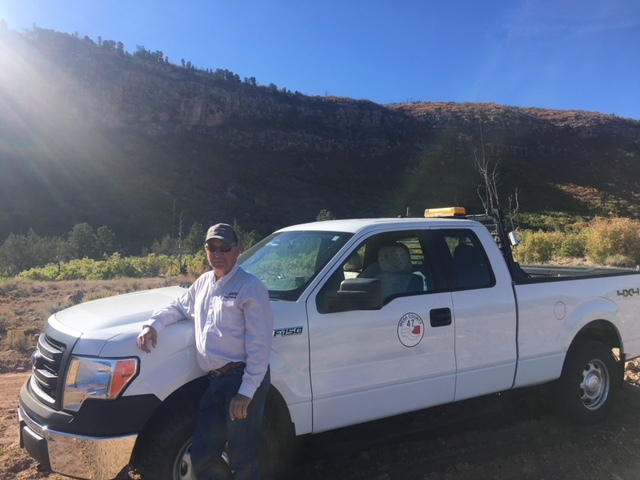 Road Supervisor Rudy Bevan gives County Attorney Patrick Coleman a tour of county roads on Friday afternoon - on Z2 4/10 Road off of John Brown Road near Gateway. Many voters have notified Mesa County Elections that they are receiving blank voter registration forms from various third-party entities accompanied by a warning that if they fail to register, they will not be able to vote in the upcoming general election. 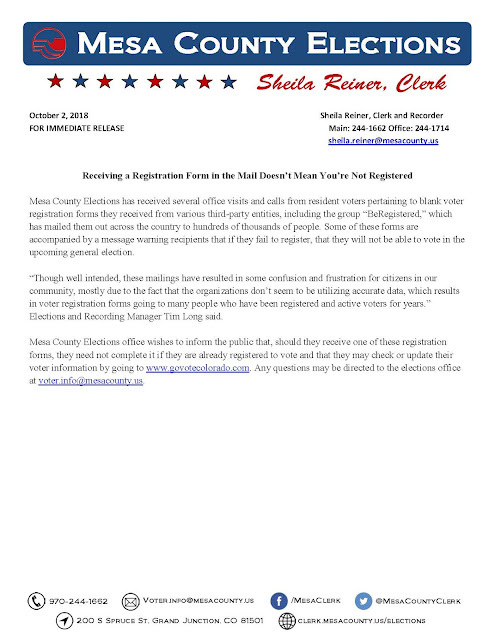 If you receive a voter registration form and you are already registered to vote, please disregard it. Check or update voter information at www.govotecolorado.com. If you have questions, email voter.info@mesacounty.us. 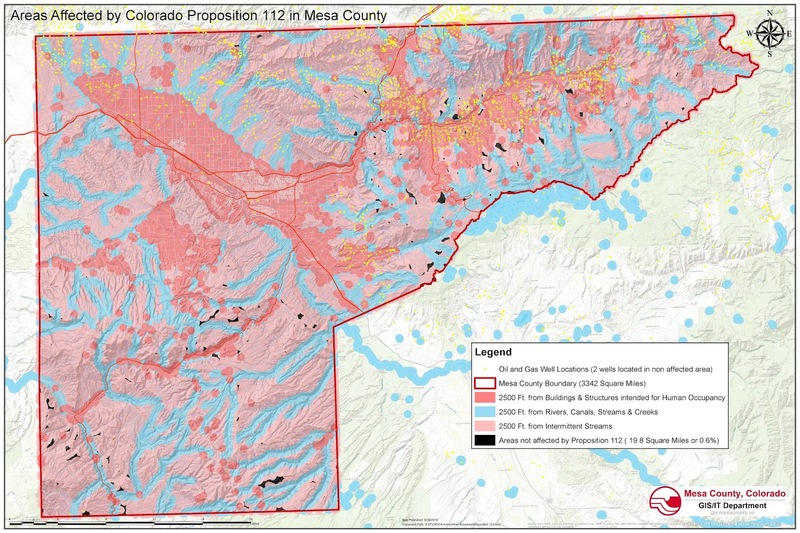 A map shows the areas affected by Colorado Proposition 112 in Mesa County. On Monday, Oct. 1, the Board of Mesa County Commissioners voted to formally oppose Colorado Proposition 112. 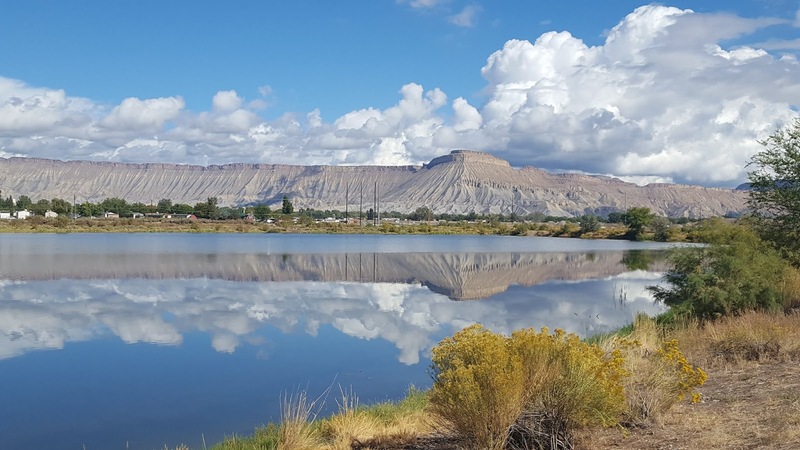 Proposition 112, Minimum Distance Requirements for New Oil, Gas, and Fracking Projects Initiative, would change the statewide minimum distance requirement for new oil and gas development be located at least 2,500 feet from any structure intended for occupancy. 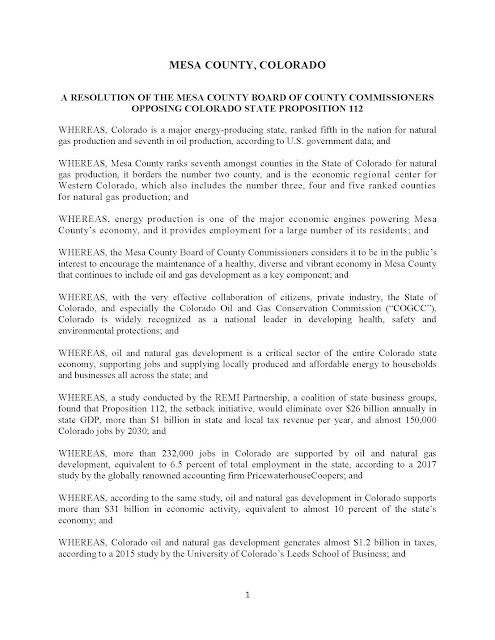 Proposition 112, mandates a one-size-fits-all increase of the setbacks for any new oil and gas development, which the Board believes would be detrimental to Mesa County's economy because energy production is one of the major economic engines powering Mesa County’s economy, and it employs a large number of its residents. 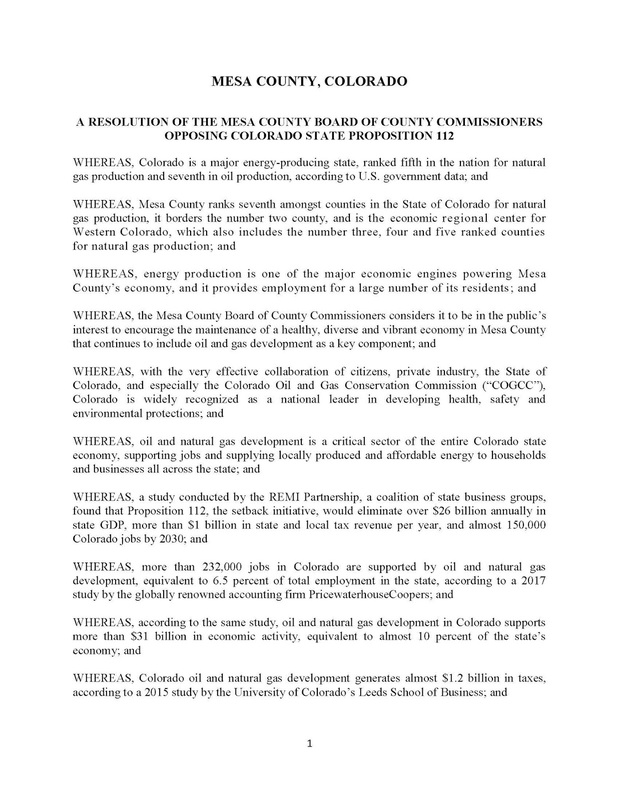 The Mesa County Board of County Commissioners considers it to be in the public’s interest to encourage the maintenance of a healthy, diverse and vibrant economy in Mesa County that continues to include oil and gas development as a critical component. Click here for the full text of the resolution or see below.